Brian ‘Bro’ Brosdahl caught this cold-front spring crappie from Barkley Lake. He recommends tightlining with a long pole and heavy jig, or casting with light-weight offerings. Dogwoods are blooming. 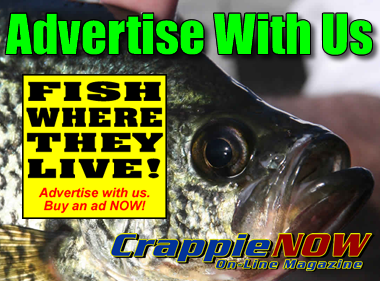 Great fishing reports are coming in from local lakes. But making its way through your region is a severe cold front dropping lots of rain and lowering air temperatures by 15 degrees. All of a sudden the lake is muddy, water temps have dropped a few degrees and fishing is tough. Now what do you do? Cold fronts may not be a seasonal structure but they are most common right now during the spring. Also, a front can make a huge difference in the success at all your favorite structures. Therefore, a cold front qualifies to be included in seasonal structure talk. Our expert for this article is Brian Brosdahl, more commonly known as “Bro”. 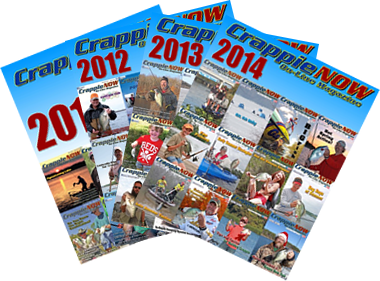 The Minnesota fisherman has over 20 years guiding (brosguideservice.com) and is loaded with sponsors including Plano, Frabill, Humminbird, Aqua-Vu and others. Bro and I had a cold front situation when fishing together during a spring event at Eddie Creek on Barkley in Kentucky. Fish should have been in full spawn but rising muddy water mixed with cold temperatures moved the fish and made catching difficult. Bro says two tactics work for him when fronts make fishing tough. The first one is to use a long pole to dead-stick a bait right into their homes. Wood cover is always a good choice when it can be found. The long pole allows the bait to be lifted straight up and down to get on, around and then inside the cover. Two bait choices are jigs and minnows. “A good tube jig works just fine in this situation. If you like a curly tail you can try that too. I also like a good feather jig. The key is to get the bait to the fish and give them a chance to see and take it. Bro’s tactics is to “tickle the cover” with the jig. Just keep it in the top of the limbs letting it bump into them occasionally. If you have a favorite bait you are fond of now is not the time to use it. Light line and wood cover means you’ll be replacing jigs often so have plenty of whatever you’ll be using. Two of Bro’s favorite FireFly feather colors are black-yellow in stained water and pink-white in clear. Two tools are Bro’s sidekick buddies when on the water making each trip more successful. One is Humminbird Side Imaging. That’s where everything begins. 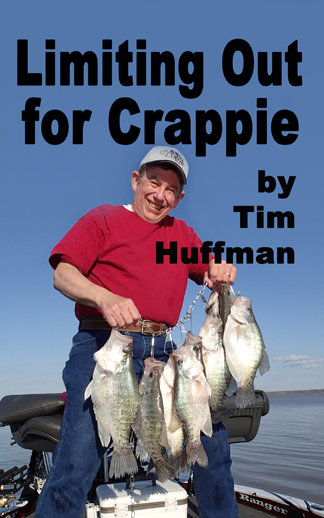 He says a fisherman must be able to find cover, depths and crappie. What you find with your electronics determines where you need to put baits for success. Barometric Changes: A biologist said the fish feel sluggish and are not hungry. Similar to us eat two hot dogs, fries, a milk shake and then got on a Tilt-a-Whirl. Queasy stomachs don’t want food. Wind: Wind is common after a cold front, so try to find spots that have a wind break. Sun: High blue skies after a front is normal. Fishing may get tight to cover with the increased light penetration. Blue bird skies usually do not relate to good fishing. Current: Heavy rains can mean increased currents. Look for slack water areas or protected areas that are not muddy, like a marina. Fishing Pressure: Spring also relates to crowded lakes. If the fishing is terrible you probably won’t be crowded. 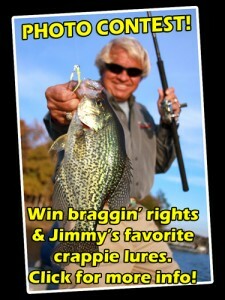 However, if fishing is fair to good look out for the ‘crappie season’ fishermen. If you can’t get away from other boats, be sure to extend common courtesy.